Leading lawmakers of both Houses of the United States Congress received letters from the Chinese Embassy in Washington, DC, threatening with “severe consequences” for US-China relations should a legislative proposal envisioning a rapprochement between the US and Taiwan not be withdrawn. This represents the latest example of Beijing’s efforts to exert political influence inside other countries to the detriment of ethnic minorities from China. Similar cases include China’s involvement in the crack-down on Uyghur students in Egypt or in the temporary detention of human rights activist Dolkun Isa prior to a UNPO event in Italy. In a rare pressure campaign, the Chinese government is demanding that the U.S. Congress back off passing new laws that would strengthen the U.S. relationship with Taiwan. Beijing’s efforts are the latest sign that it is stepping up its campaign to exert political influence inside countries around the world, including the United States. In response to proposed legislation in both the House and Senate, the Chinese Embassy in Washington lodged a formal complaint with leading lawmakers, threatening “severe consequences” for the U.S.-China relationship if Congress follows through. China’s tactics have angered lawmakers and staffers in both parties, who call them inappropriate and counterproductive. In an August letter from Chinese Ambassador Cui Tiankai that I obtained, the Chinese government expressed “grave concern” about the Taiwan Travel Act, the Taiwan Security Act and Taiwan-related provisions in both the House and Senate versions of this year’s National Defense Authorization Act. 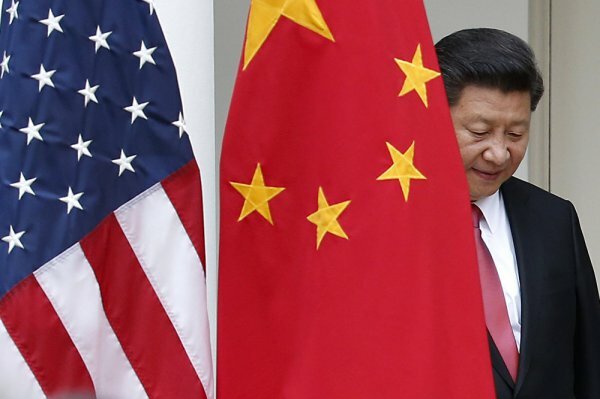 The measures represent “provocations against China’s sovereignty, national unity and security interests,” and “have crossed the ‘red line’ on the stability of the China-U.S. relationship,” the letter stated. The letter was sent to leaders of the House and Senate’s foreign relations and armed services committees and called on them to use their power to block Taiwan-related provisions in the bills. Lawmakers and aides told me the Chinese threat of “severe consequences” was unusual and out of line. “The United States should continue to strengthen our relationship with Taiwan and not allow Chinese influence or pressure to interfere with the national security interests of the U.S. and our partners in the region,” said Sen. Marco Rubio (R-Fla.), the sponsor of the Taiwan Travel Act, which calls for more visits by U.S. officials to Taiwan and by Taiwanese officials to the United States. The issue is coming to a head as the House and Senate Armed Services committees negotiate over the must-pass defense policy bill. The Senate version has several strong Taiwan-related provisions, thanks to amendments added by Sen. Tom Cotton (R-Ark.). It would authorize Taiwanese ships to make port calls to U.S. naval bases and vice versa, invite Taiwan to the “Red Flag” international military exercises and provide for increased supply of U.S. defense articles to Taiwan. The House version of the bill contains softer versions of those provisions that give the administration more flexibility. When the two chambers go to conference, lawmakers and aides will have to reconcile the two versions. It’s a delicate negotiation, and aides resent the blatant Chinese efforts to influence it. “Making these sorts of threats and laying down ‘red lines’ on domestic legislative action is neither helpful or constructive to build the sort of relationship needed between the United States and China,” a Senate Democratic aide said. By stating that the “red line” had been crossed by the mere introduction of legislation, the Chinese government seems to be saying it believes that Chinese interference in U.S. domestic political processes is appropriate, the aide said. Other congressional aides said that no other embassy uses threats as a tactic to influence Congress, especially not via an official communication. Most embassies try to build relationships and persuade U.S. policymakers to support what they believe is in their national interest. But not China. Beijing’s worldwide strategy to exert political influence inside other countries’ decision-making processes has been expanding for years. It’s just now getting noticed in the United States. “It’s a concentrated, long-term, political-warfare influence operations campaign that has been going on for a long time but has definitely become more brazen,” said Dan Blumenthal, a former Pentagon Asia official now with the American Enterprise Institute. Chinese pressure on domestic institutions in other countries takes many forms, he said. For example, Chinese government delegations routinely pressure U.S. governors by threatening to withhold economic benefits if they, for example, meet with the Dalai Lama. In Australia, there’s a huge debate about Chinese pressure on universities to alter curriculum to match Chinese propaganda. In Spain, the government controversially changed the law to curb prosecutions of foreign leaders for human rights violations, under Chinese government pressure. Congressional action over the next weeks and months will be a test of the legislative branch’s willingness to stand up to Chinese bullying and continue a long tradition of seeking improved engagement with Taiwan. Even if the House and Senate compromise, they should send a clear message that China’s tactics won’t work.